Handles up to 1,500 sheets per day. 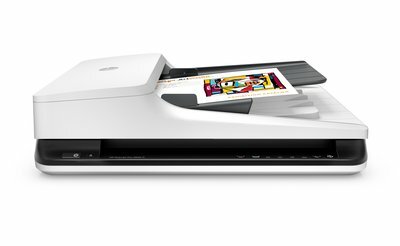 Scan both sides of the page at up to 40 images (20 pages) per minute. 8 1/2" x 14" maximum scan size. Media Size A4 8.27" x 11.69"; A5 5.83" x 8.27"; A6 4.13" x 5.83"; B5 6.93" x 9.84"; Index Card; 8.50" x 10.17 ft; Letter 8.50" x 10.98"; Legal 8.50" x 14.02"; Executive 10.51" x 7.24"